Fifty years ago, cacao plantations dominated the Costa Rican lowlands. By 1984, chocolate trees still grew on more than 19,000 hectares of Costa Rican land, but around that same time the deadly monilia fungus arrived, killing off 80 percent of the country’s cacao plants. Most of the trees were uprooted and replaced with more profitable pineapple and palm oil farms. However, Costa Rican cacao production is on the rise again, and this weekend San José chocolate fans will get the chance to celebrate. On Saturday and Sunday, the Antigua Aduana in San José will host its first Feria de Chocolate. The event will feature talks from chocolate makers, cacao farmers and government agencies, as well as opportunities for tasting and purchasing chocolate. Publicity company PubliCatch is hosting the event, which will feature between 65 and 70 chocolate makers. The majority of the participants use Costa Rican cacao, although some, like the National Chocolate Company, buy foreign crops. While Puerto Viejo hosts an annual chocolate festival, this will be the first national chocolate fair held in the capital. From craft beer to coffee and even special Costa Rican snow cones, artisanal foods are having a moment in Costa Rica. Chocolate is no exception, with specialty chocolate makers cropping up across the country. According to Soriano, chocolate-making equipment is more accessible now, as is high-quality Costa Rican cacao. According to Brenes, the sudden cacao boom can be attributed to a growing global market as well as better crop genetics. Following the monilia plague, Costa Rica’s Tropical Agricultural Research and Higher Education Center (CATIE) began developing disease-resistant strains of cacao. After 26 years of development, CATIE was able to develop six strains of cacao capable of warding off monilia. CATIE makes these clones available to small farms for free. Each of CATIE’s clones yields the type of high-quality cacao sought after by fine chocolate makers, a growing market both locally and globally. Aside from its growing profitability, cacao is also significantly gentler on the environment than other crops that thrive in the same conditions. Unlike pineapple, bananas or palms, cacao is generally grown on agroforestry farms, which maintain forest cover. Cacao farms also tend to use fewer agro-chemicals, though most Costa Rican production is not completely organic. 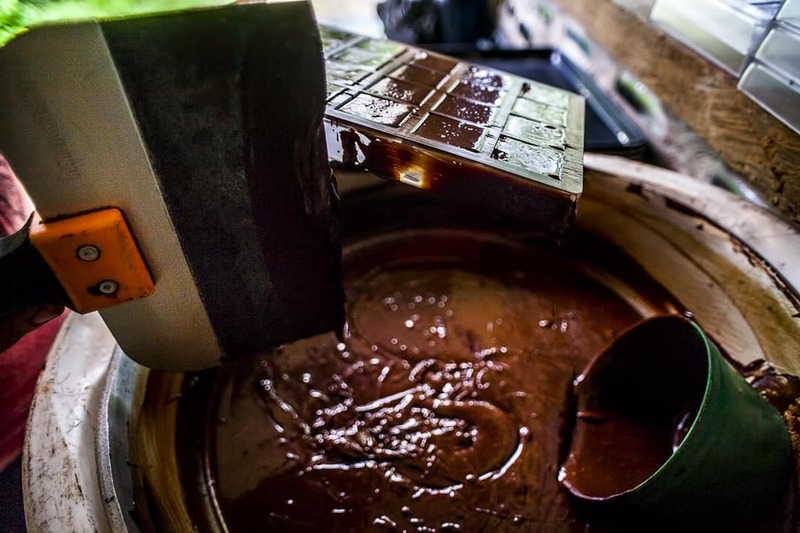 Due to both the economic and environmental advantages of cacao, as well as its traditional importance in Costa Rica, MAG is making a push to expand national production. Last year, an executive decree declared cacao production as a matter of national interest, and July 4 will be the country’s first National Cacao Day. Next month, Brenes said MAG will also launch the Sectorial Cacao Promotion Program, which will work to create more cacao farms and improve the national crop’s quality. “If all of us as an industry show that we are dedicated, we will all help put Costa Rica on the chocolate map,” Soriano said. Going there: Tickets for the Feria de Chocolate can be purchased for ₡2,000 (about $4) at the Antigua Aduana on the days of the event or in advance from Britt stores, Sibú Chocolate, Chocolarte, Chocolate Nahua or Chocolates Theo.